Please go and give the artist a watch, they do some amazing art! 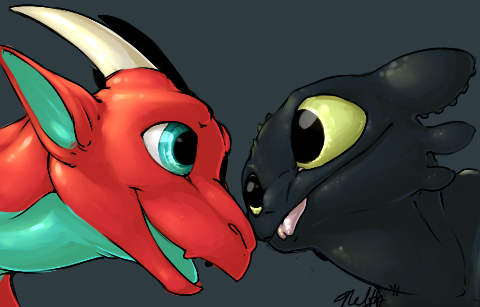 Ryuuio seems to have come across Toothless, the Night Fury. Looks like the first sight was a good one!